A catchy design. Lively colours that reflect Capri Island’s magic atmospheres. 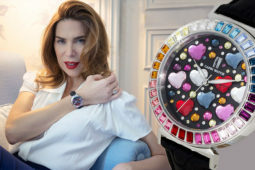 The Watch Multijoy Classic (art. 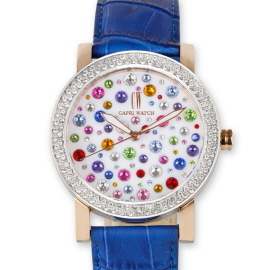 5100) is Capri Watch’s ode to joy. 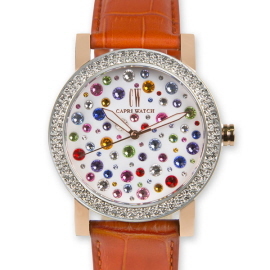 A very distinctive style that goes beyond the norm and conveys the uniqueness of those who wear it. 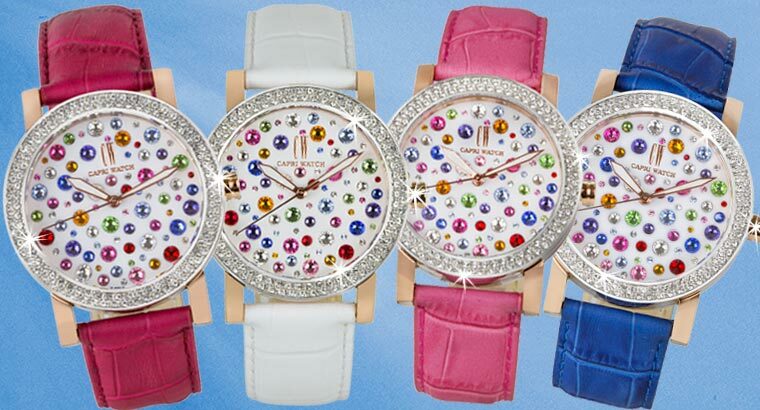 The Watch Multijoy Classic is a beauty manifesto as it combines elegance and liveliness. 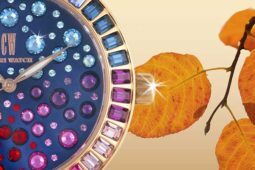 Fancy and friendly at the same time, this watch is characterised by a great degree wearability – the two-tone coloured iron case featuring a 38mm diameter. 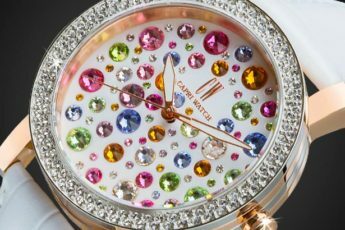 Both the bezel and the dial are adorned with fine Swarovski crystals. The idea is to provide an object for you to get delicately noticed. 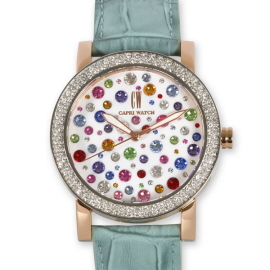 The pastel coloured leather bands switch from white to blue navy, from acquamarine to rust to violet. 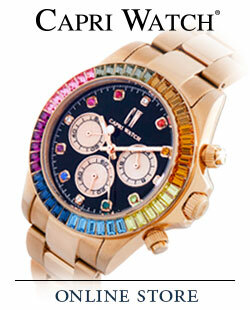 This fact turns the Watch Multijoy Classic into a piece of design to wear and collect. 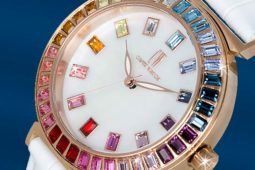 A 5 years guarantee is an assurance of the technical functionality and quality of this as all the other Capri Watch’s creations. 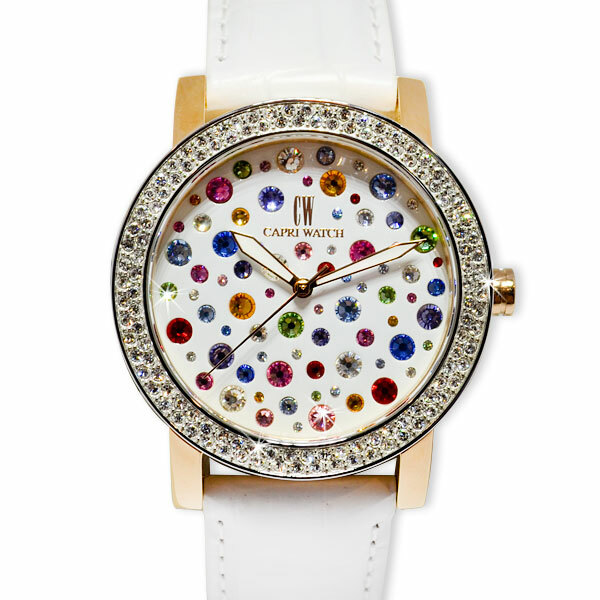 The Watch Multijoy Classic tastes of Capri’s Summer and expresses Capri Watch’s idea of feminine beauty.